Some encouraging news for fans of The Big Bang Theory. Jim Parsons recently told Sunday Today‘s Willie Geist he’s optimistic about an 11th season of the CBS sitcom, TVLine reports. The popular TV series is currently in its 10th season. 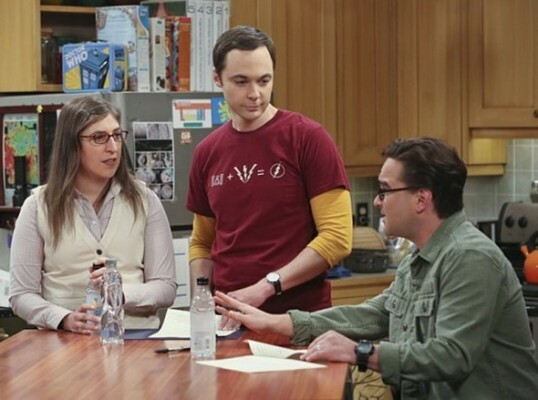 It is the last contracted season for the show’s main cast, which includes Parsons, Johnny Galecki, Kaley Cuoco, Kunal Nayyar, Simon Helberg, Mayim Bialik, and Melissa Rauch. The Big Bang Theory is still earning high ratings. So far, season 10 has received an average rating of 3.36 in the 18-49 demo and 14.769 million viewers, making it CBS’ top-rated TV show for the 2016-2017 season. CBS is currently in negotiations for season 11. What do you think? Do you watch The Big Bang Theory? Do you want another season? I doubt that there won’t be a season 11, but if so I’m not how much further the show can go beyond that point. I like the show but in recent years it’s been sort of thinning out in terms of quality. Please continue Big Bang, we need to keep a show that we can count on!